Many renovated bathroom pictures have one thing in common: they have nothing to hang a hand towel on. 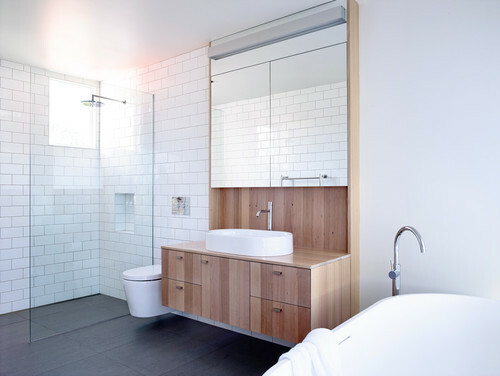 Some bathrooms have no space next to the vanity to even allow for a hand towel to be hung for hand drying. 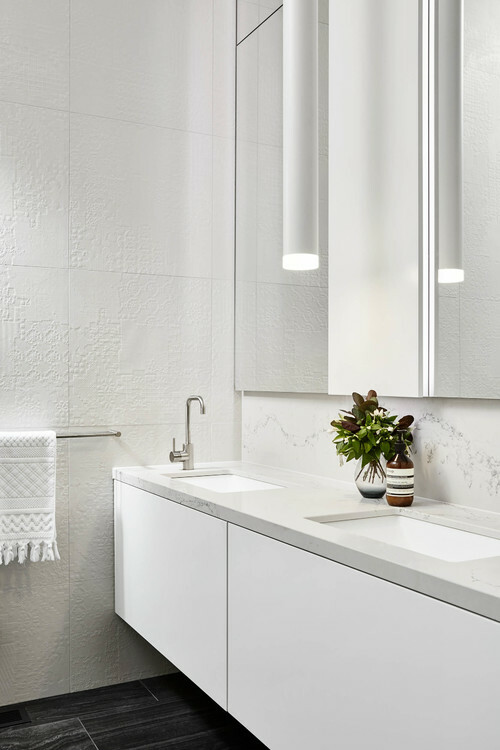 A hand towel is a practical item that should be located close to the vanity. 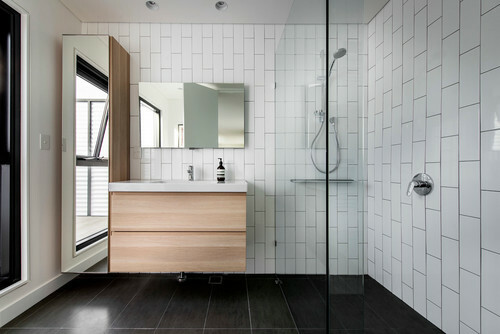 But sometimes bathrooms are designed with the bigger items in mind and the smaller details are left behind. 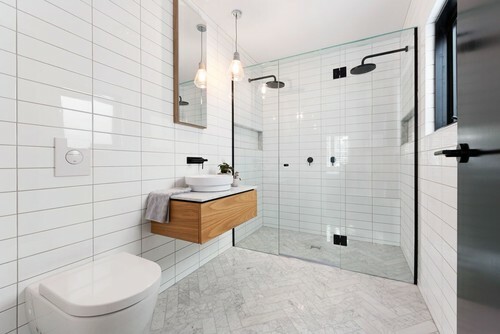 Having a place designated for hand drying is important for hygiene and preventing drips of water over the bathroom floor. It’s also nice to offer a hand towel in a guest bathroom, instead of someone’s personal towel to dry hands on. I saw this question of hand towel placement on a forum and I will be honest, I thought it was an odd question to ask… until I realized they had a great point! 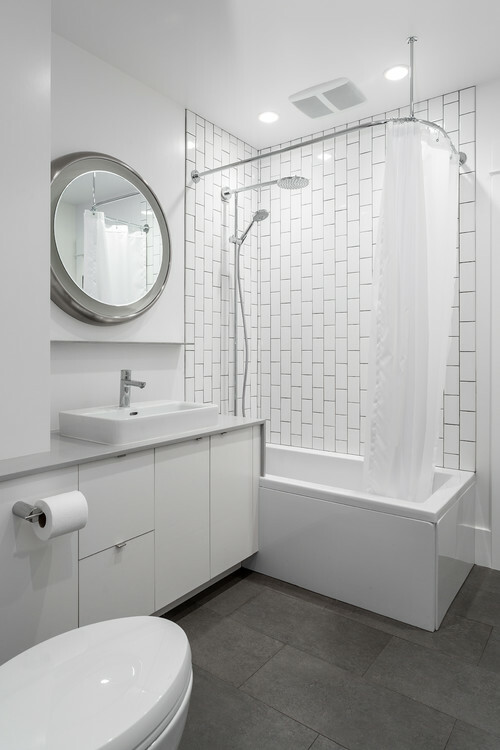 When I was researching the best spots, I was amazed at how many renovated bathrooms had nowhere to place a hand towel. Here are examples of bathrooms where no hand towel accessory has been considered. If you’ve renovated your bathroom, and now need to work out where to hang your hand towel, I’ve found some ideas for you. In our bathroom, we don’t have a hand towel ring or even a hand towel rail, so I drape our hand towel through our vanity handle. 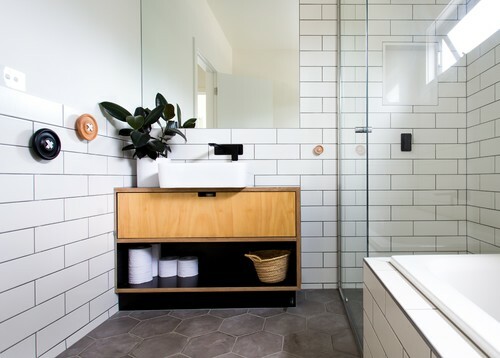 No need to drill into tiles, the vanity or the plaster wall. If you want a designated holder which is easy to install, you could consider a Fusion-Loc towel ring. If you don’t have handles on your bathroom vanity, here are some other ideas you could consider. 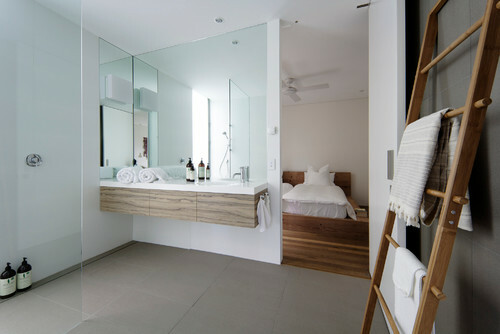 Alternatively, to prevent drilling into the wall or side of the vanity, you could opt for a free standing towel rack. How do you hang a hand towel in your bathroom?